This prayer was on my mind recently when I had the opportunity to respond to Rory Stewart MP, who was giving his first speech as Minister of State at the UK Department for International Development. He brings real expertise and experience to the role, having served in East Timor, Montenegro, and Iraq; and he travelled on foot through rural districts of Pakistan, Iran, Afghanistan, India and Nepal, a journey totalling around 6000 miles, during which time he stayed in five hundred different village houses. Mr Stewart gave a wise speech about how Britain can play a role in global peace and stability. He called for policymakers to be modest and patient when they intervene in conflicts and in fragile states, and to act with greater self awareness. I agree with everything he said. We could help tackle the resource curse – by requiring our citizens and companies to be transparent about what they pay for and from whom; and we could go further, as Leif Wenar suggests, by treating as stolen property the oil, minerals and other resources sold by governments that do not have the moral, political or legal authority to sell them on behalf of their population. We can invest more in UN peacekeeping, both in money and in troops. And we should consider Paul Colllier’s proposal for a security guarantee, by which a democratically elected government could ask for a guarantee that if they are overthrown by a coup, the international community will step in, with force if necessary, to restore democracy. 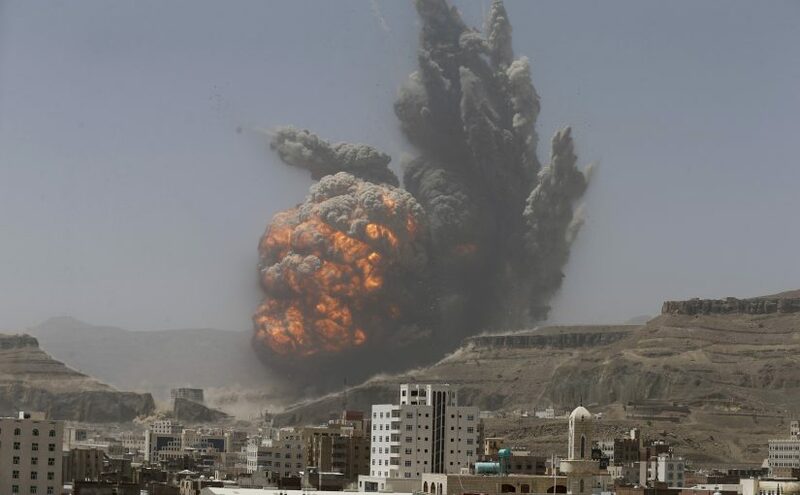 We should have much tighter controls on arms sales – it is obscene that the UK is selling arms to Saudi Arabia which are used to bomb Yemen, which we then provide aid to rebuild. The Minister responded – rightly – by pointing out that there are domestic political constraints to all of these things. But there are domestic political constraints in developing countries too: that doesn’t stop well-meaning westerners from flying around the world telling governments that they need to get themselves a new judiciary, reform their state-owned enterprises or embrace federal autonomy. I don’t believe that it is politically too difficult for the UK to close the tax havens in its overseas territories, or to stick to its promises to appoint the leadership of international institutions on merit; nor do I believe that these policies require a political lift of the same magnitude as we routinely expect of others. These reforms would be good for the majority of our own citizens too – while they require a bit of backbone to take on vested interests who benefit from the status quo, they could potentially bring about huge, long-lasting and sustainable benefits for the rest of us and for the rest of the world. This blog post first appeared on Views from the Center. Please add your comments there. Previous Previous post: What Can International Development Learn From Britain’s Olympic Team?